Author: Johnson, Donald S. Set In . . . Description: In the 1600's, the race was on to discover a sea route to the riches of Cathay and the East Indies. Henry Hudson, a captain-for-hire serving both his native England and its archrival Holland, navigated much of this uncharted world, in which piracy was rampant and every ship was fair game. Henry Hudson was one of the most enigmatic figures of the Age of Discovery, and little is known about the man today, even though his quest for the Northwest and Northeast Passages led him to explore Chesapeake Bay, Manhattan Island, the Hudson River (as far north as Albany), and Hudson's Bay, near the Arctic Circle. It was near here, in 1610, that Hudson was marooned by a mutinous crew and so passed from history, leaving his name on two great bodies of water. 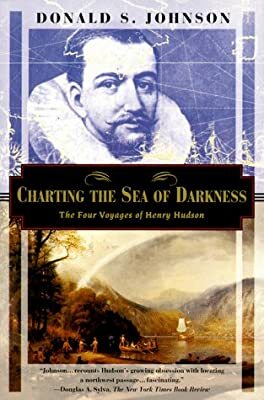 This fascinating book helps modern readers to understand Henry Hudson's life and times, the state of geographic knowledge in his day, and why whole societies were mesmerized by the voyages of heroic maritime figures like him. Relying on Hudson's original logs, it sheds new light on the great explorer and his influence on history.